but beyond that, the items differ from photographer to photographer. I know one (excellent) photographer who only uses a Canon 5D Mark III and a 50mm 1.2L. I know another who has a diverse assortment of lenses, lights, and other equipment needed for either solving common wedding photography problems, or for achieving a certain ‘look’ in his photos. It’s all a matter of preference. 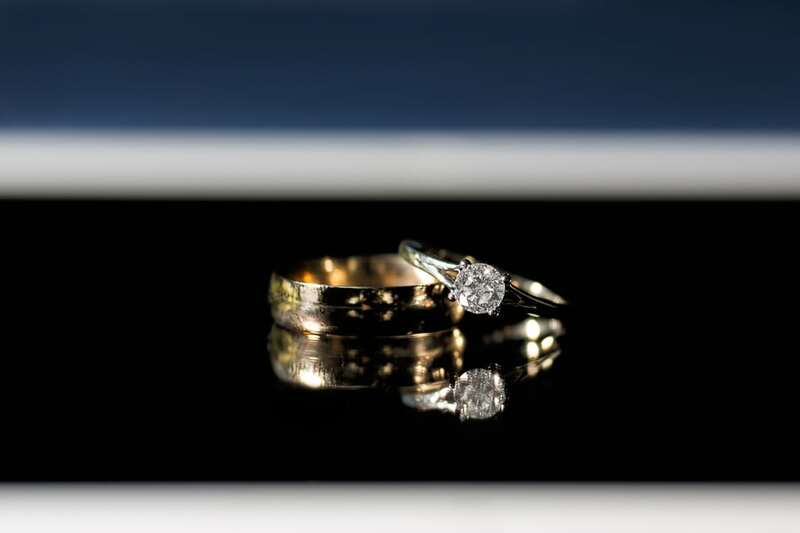 I’d like to suggest some items that might not be on your list of ‘must-haves’ for weddings. I don’t always need a flashlight at weddings, but there are times when it can be a life saver. If you’re into taking twilight or night portraits, you might find it difficult to focus, but if you bring a flashlight, you can temporarily illuminate your subject to focus, then let your speedlight or strobe take over. Although, if you have a studio strobe, it might have a modeling light you can use. You can also use your flashlight to locate you gear in dark receptions or as you’re packing up your gear at the end of the night. In the past, I’ve used mine to help get the bride, groom, and myself to and from portrait locations that are poorly lit. While custom wedding dress hangers are in style, at the moment, there are still times when you arrive to find the dress on a gaudy plastic hanger. I simply bought a 5-pack of hangers with dark wood and it turns out that they’re very inexpensive. 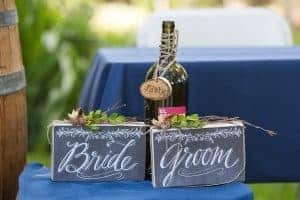 Sure, this one seems obvious, but I recently started bringing a cooler to all of my weddings, and I haven’t regretted it. The first wedding I brought it to was so hot, that I drank almost four large bottles of water. Sometimes, there are bottles of water supplied at weddings, but you can’t always count on that. Also, I’m sure they don’t supply your favorite iced tea, iced coffee, or energy drink. Not to mention other snacks. When you’re hungry, thirsty, or both, you’re not likely to perform at your best. I tend to lose all of my creativity when I get really hungry or hot, so I make sure to bring what I need. Anything can happen when you’re away from your medicine cabinet: headaches, upset stomach, fatigue, diarrhea, just to name a few. Find a place that sells those individual travel-size medicine packs and stock up. You never know when you’ll need them. If it rains, you’ll want to protect your gear, so bring along some plastic bags. I use the quart-sized Ziplock bags to put over my flashes and Rainsleeves to protect my camera and lens. Be careful not to put the plastic too close to flashes, though. I’ve heard that they can melt. This is such an inexpensive way to protect your gear, you’d be silly not to carry them. I don’t remember where I heard this tip, but it was probably from Scott Kelby. If you bring a tablet to a wedding, or even a large smart phone, you can get a cool reflection when you’re doing a ring shot. If you have a camera that has wireless functionality like my Canon 6D, you can review your images and maybe even do a quick edit to post to social media or to show the wedding party. You can also store documents like the wedding timeline (itinerary) and notes you might need to jot down about the people, venue, or portrait ideas. Who knows? The possibilities are nearly endless. I don’t know about yours, but my smart phone’s battery isn’t very robust. Even if your phone’s battery lasts for a good amount of time, there might still be times when it runs out of juice. That’s why I carry an external battery pack that can charge my phone and ipad. I don’t use it very often, but I’ve been very glad to have it those few times. If your family or friends have an emergency, they should be able to get a hold of you. One part of appearing ‘professional’ can be controlling your…odors. I know. It might sound funny, but do you go to important events without deodorant? I hope not, but your breath can smell terrible, too, and it’s less likely that you’ll notice your breath. That’s one reason I always have Altoids on hand when I go to events. The other reason is that bridesmaids and groomsmen always seem to need them, too. Especially the groom – at the end of the ceremony, when he kisses the bride, do you think he wants her to remember his terrible breath or to remember the moment itself? I receive many thanks whenever I offer them. Many people have cleaning tools or kits in their bags, but many people don’t know about Zeiss lens wipes. They’re very similar to the moist towelettes for cleaning your hands that you may have encountered in the past. The difference is that the lens wipes have an alcohol-based cleaning solution in them that evaporates quickly after using. They are inexpensive, easy to use, and take up a very little amount of space. If you’ve ever used light stands at weddings, you’ve probably either had someone trip over them or had them blown over by the wind. Either way, I have a couple of solutions for you. The first is sand bags. To place the bag securely, I recommend straddling the middle shaft of the stand with the two sides of the bag. If the wind is out of control and sand bags aren’t quite doing it, the get yourself some quality tent stakes. Don’t buy the little metal wire ones, they won’t work very well. You can also try these Orange Screws. They’re an anchor that looks promising, but I haven’t tried them yet. If you get these, you won’t need to bring a hammer. Most people wear sunglasses on sunny days and I highly recommend it, but who I really want to address are the people that wear contact lenses. What happens if your eyes get dry and a contact pops out? What if you can’t find it or it gets very dirty? Glasses aren’t the best thing when you’re a photographer, but they could be a life saver. Always bring a backup pair just in case. Yep. Most people do this, too, but I think I need to say it again. BRING EXTRA EVERYTHING. Almost everyone has extra batteries and memory cards (I sure hope so), but not everyone has a backup camera, extra flash, light stand, or light modifier, just to name a few. If something is important, make sure you have a backup plan. That’s why I spent the extra money on a 5D Mark III this year: because it has 2 memory card slots. If people are going to pay me as much as they do, I need to have some peace of mind about the safety of their images. Not only that, but if that camera breaks, I have my 6D to fall back on – I used it for two years as my main camera and it’s quite capable. Feel free to add your own ideas in the comments below. I'll love to hear them.